Mission Viejo High School Drama presents the Shakespearean comedy, "A Midsummer Night's Dream" on November 3, 4, 5 at 7pm in the PAT, directed and adapted by Kathleen Cannarozzi Harris. 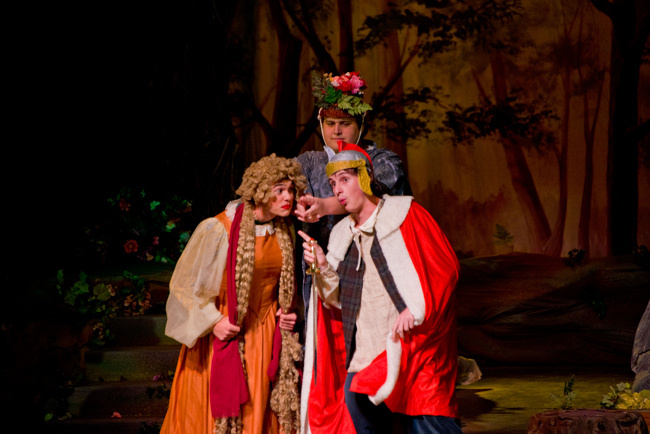 A Midsummer Night�s Dream, Shakespeare's most popular comedy, portrays the adventures of four young lovers and a group of amateur actors, their interactions with woodland fairies and a duke and duchess. 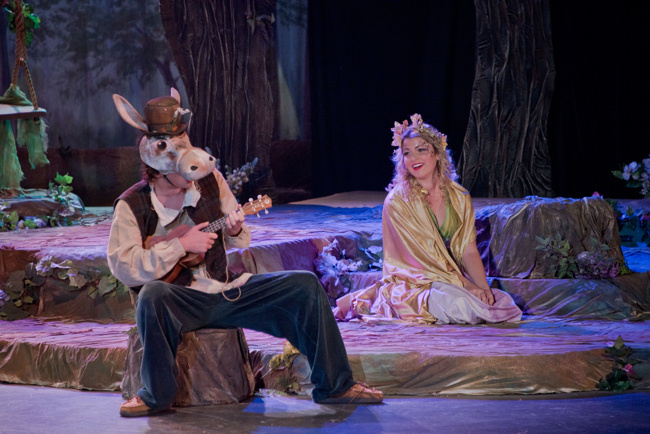 Taking place in a mythical Athens and an enchanted forest, there is a handsome fairy king, a beautiful fairy queen, star-crossed lovers, an actor who's transformed into a half-donkey, and mythical fairies. The comedy is about the world's most popular pastime, falling in love. But, falling in love can make fools of us all. As Puck says, "Lord what fools these lovers be!" Devoree Shields shines as Puck as she jumps across the stage quite spastically trying to help four mortals find true love with her magical spells. 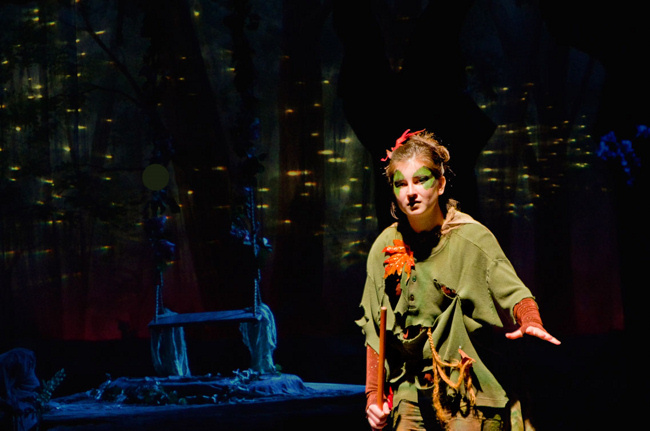 Her lively energy is revealed through her erratic dashing through the forest, her determined search for the young lovers and her fierce loyalty to Oberon, the fairy king, played by Joey Perez. Helena, one of the young lovers played by Mary Desmond, switches emotions at the drop of a hat as the plot swiftly unfolds. Her seemingly calm demeanor suddenly shifts to loud, uncontrollable sobbing as she laments the fact that her love interest, Demetrius (Ryan Livesay), does not love her back. Desmond�s flirtatious gestures also add a humorous touch to her character. Jeffrey Baker, as the over-the-top actor Bottom, provides the show with an impassioned performance. From striding on stage with a booming, confident voice to dramatically �stabbing� himself while performing in front of the duke, Baker delivers hilarious slapstick comedy. 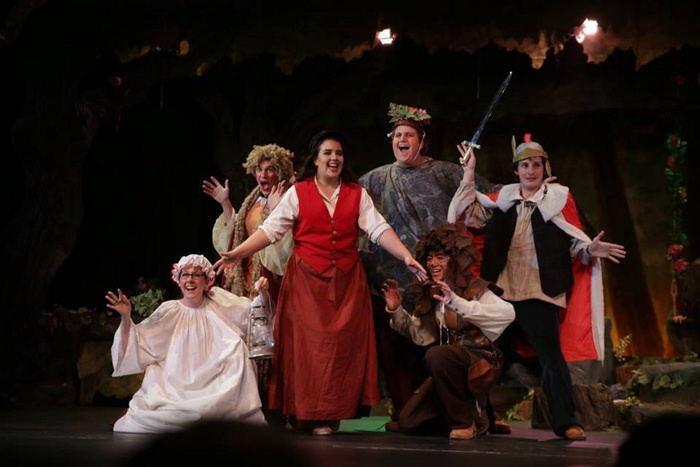 The play also features Drew Caloff performing as Theseus, Natalie Patrick as Hippolyta, Kayla Morgan as Hermia, Ben Sellers as Lysander and Bre Ben-Joseph as Titania. The show is heightened by inspired technical design supervised by Director Kathy Harris. 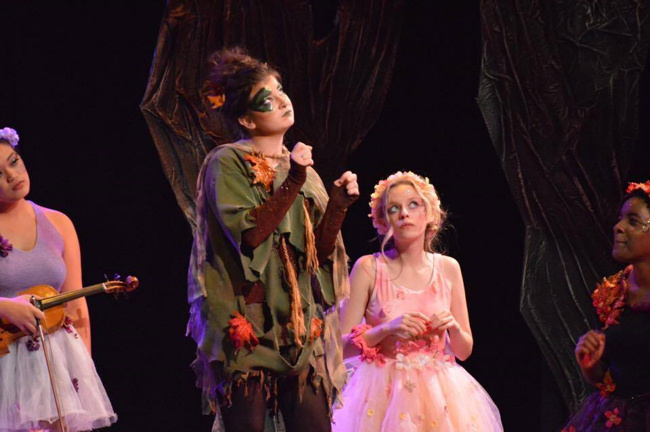 The makeup, creatively done by Katie Agrela and Rhiana Schatz, distinguished the magical characters from the mortals by contrasting the enchanting fairies' faces with the more subdued human faces. Ben Sellers� music composition excellently established the mood of each scene. The songs take inspiration from Gaelic folk music, which appropriately parallels the nature of the show. In moments of suspense, the music becomes more intense with a hair-raising violin performance. 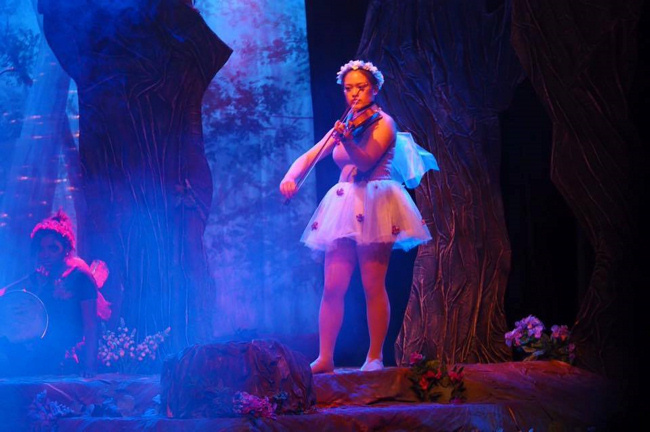 The fairies help bring Sellers� vision to life by playing a variety of instruments, most notably Adele Soonthornyanakij with her impressive violin skills.